OK – it is not RAW! This recipe is another of Amber Shea’s recipes which you can either cook or eat raw! Since I was cooking up a quiche for the family dinner and was looking for some veges to go with the quiche – I decided to whiz up this cauliflower dish and ‘heat’ with a quick stir fry… I also whizzed up the Marinated Broccoli and Red Capsicum in another pan. Went really well with the quiche and there were clean plates all round! I didn’t leave this recipe raw – but you can – a couple of hours left to marinade and you could eat it raw too! In a medium bowl whisk together the ingredients (except cauliflower). Once combined, add the cauliflower and coat well with the mixture – always works best when you use your hands to coat the veges. Place in a shallow dish and dehydrate for 1-2 hours. Or leave overnight in the fridge. 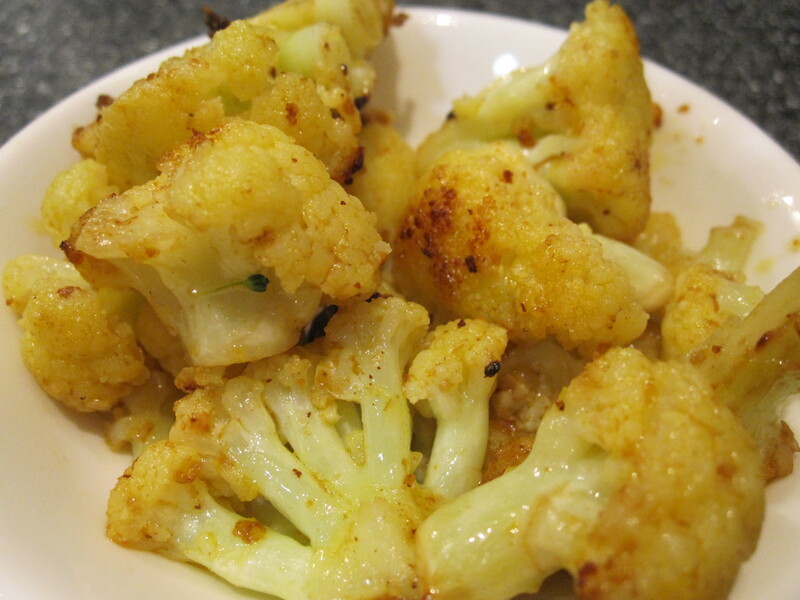 In a small frying pan, heat cauliflower until warmed through. My daughter especially liked this one! Thanks Amber Shea for your continued curry obsession!